On November 19, 1970 in West Germany, filming for the musical adaptation of a 1964 children’s novel officially wraps and moves into final production. After eight months in post-production, Willy Wonka & the Chocolate Factory is released to U.S. audiences on June 30, 1971. Fast forward some 40 years later to September 2012 at Global Gaming Expo in Las Vegas where WMS Gaming announces the release of their “Willy Wonka & The Chocolate Factory” Sensory Immersion 2.0 Gaming Experience. Developed in their state-of-the-art Sensory Immersion 2.0 participation platform, the game is powered by their trademark CPU-NXT3 platform and incorporates WMS’ innovative motion system chair technology. In simple terms, “the Sensory Immersion 2.0 technology deepens the connection players have with the game by creating a fully immersive experience through advanced graphics, superior audio and synchronized motion and lighting brought to life by the capabilities of the CPU-NXT3 platform” (WMS Press Release). 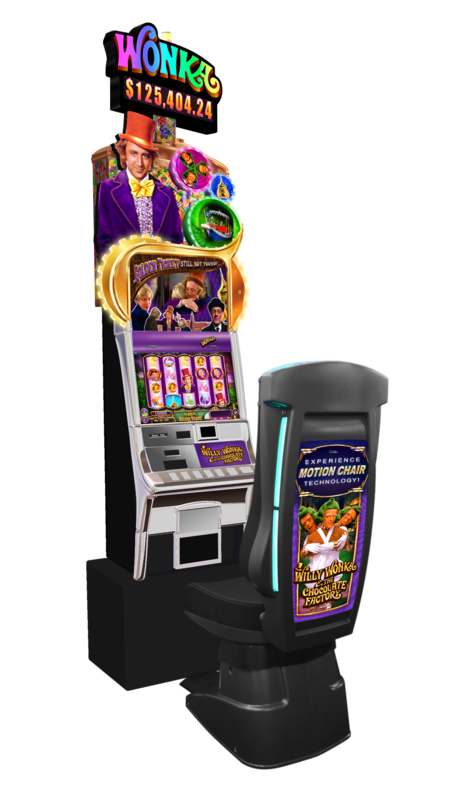 WMS Gaming definitely lives up to their promise of “Engaging Players & Delivering Results “with their release of “Willy Wonka & The Chocolate Factory”. The mix of mainstream pop culture and cutting edge technology has made the machines exceptionally popular with players of every generation. Seasoned players enjoy the nostalgia of the game while the more novice players embrace the level of technology offered by the platform. If you haven’t experienced the game for yourself, you’re in luck….. 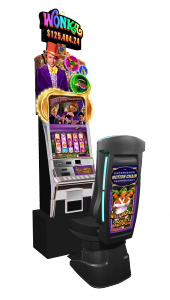 The Island Resort & Casino has acquired a handful of machines that we would love for you to try! Not sold on the idea yet? Check out the “Willy Wonka & The Chocolate Factory” video on our official You Tube page! Whether you’ve had the chance to try the machines in person (or at least get a sneak peak via You Tube) it’s fairly evident that WMS Gaming has exceeded their promise of “Engaging Players” with the release of this game. 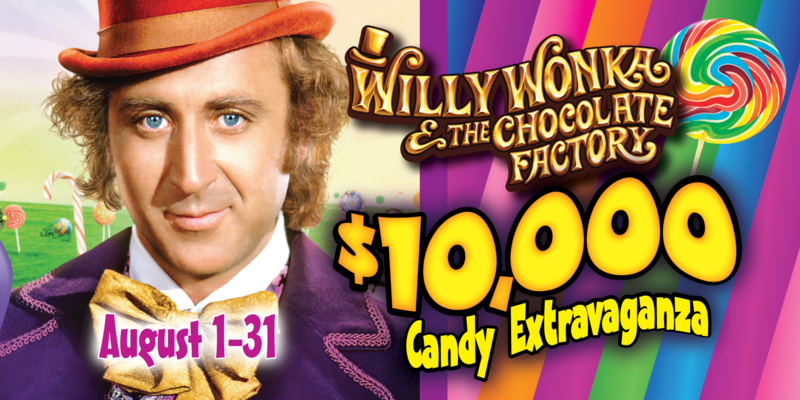 Now it’s our turn….As part of our promise to our guests to deliver “Your Total Experience” the Island Resort & Casino is pleased to announce our “Willy Wonka & The Chocolate Factory $10,000 Candy Extravaganza” in conjunction with the arrival of the machines at our facility. Beginning on August 1st, Island Club members earning 200 slot points (daily) on their Island Club Cards will be able to visit any kiosk for their chance to win one of 150 Golden Tickets or one of many other prizes. Guests lucky enough to unwrap a golden ticket, will be invited back to the Island on September 6th where they will party “Willy Wonka Style” with the Oompa Loompas (live) and have their chance at unwrapping a piece of the $10,000 Candy Extravaganza! We’re sure you’ll find that this promotion is truly that of PURE IMAGINATION and as the Golden Ticket so eloquently stated: In Your Wildest Dreams You Can Not Imagine The Marvelous Surprises That Await You!